The jazz ensembles from the Department of Music at Gustavus Adolphus College combine efforts on Saturday, November 22, to present a concert in Bjorling Recital Hall on the Gustavus campus. Under the direction of guest director Adam Rossmiller, the Adolphus Jazz Ensemble and the Gustavus Jazz Lab Band begin this free concert at 7:30 p.m. In the long tradition of jazz at Gustavus, this concert includes a wide variety of the music written or arranged for jazz ensemble. The tradition, dating back to 1970, continues with this fall concert led by guest director Adam Rossmiller, visiting instructor of music for the semester while the jazz program director, Steve Wright, is on leave. Rossmiller and the Adolphus Jazz Ensemble open the concert with Mark Taylor’s Mr. Goof, followed by Maiden Voyage by jazz pianist and composer Herbie Hancock. Clifford Brown’s Sandu and Lennie Niehaus’ Half & Half complete the first half of the concert. The Gustavus Jazz Lab Band comes to the stage following intermission and opens with Count Bubba by Gordon Goodwin. They continue with a Michael Philip Mossman arrangement of Afro Blue – Mongo Santamaria and Mike Tomaro’s arrangement of the jazz standard ‘Round Midnight by Thelonius Monk and Cootie Williams. The lab band concludes Saturday’s performance with Tomaro’s Smoke and Mirrors and the Charlie Mingus composition Better Get Hit in Your Soul. 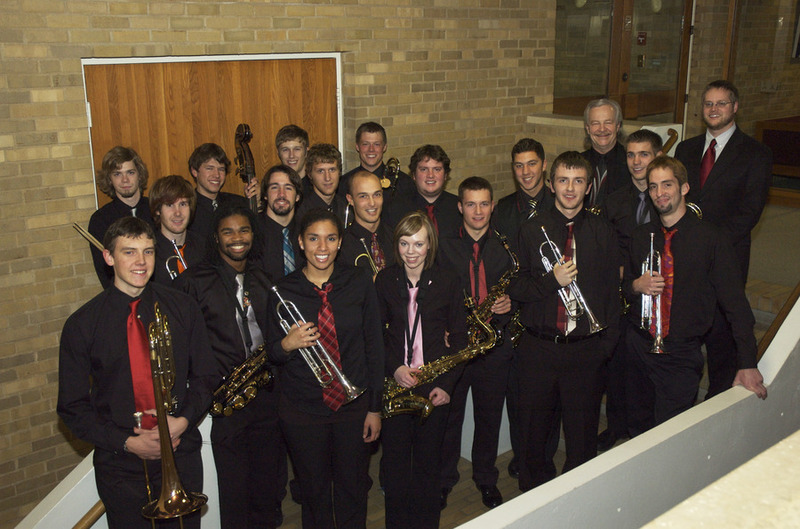 Saturday’s combined jazz concert by the Adolphus Jazz ensemble and the Gustavus Jazz Lab Band begins at 7:30 p.m. in Bjorling Recital Hall. The performance is free and open to the public.